Very simple: It is Life: Life is a puzzle! Having fun... What does it mean? "There is an actor that is remembered as the most popular Frankenstein’s monster. His name was Boris..."
Of course, you have to answer Karloff. 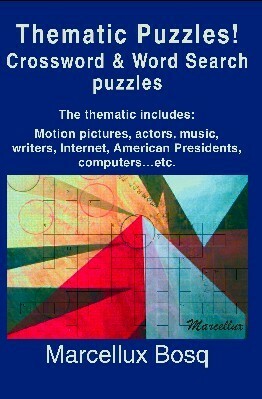 There are different levels for the puzzles. To solve most of them you just need the knowledge that an average educated person has. This book was born as a private and intimate hobby. I always loved to make puzzles and show them to my friends. However, my vision of the world was just that; to have a moment of fun and relax. I must confess that the idea of writing a book belongs to them. They told me to do it and persuaded me to go on. This book is then a tribute, a tribute to friendship.